Want to snack on something quick & simple and healthy? Try these! 1. Place chocolate chips in a heavy-duty zip-top plastic bag or small microwave-safe bowl. Microwave at HIGH 1 minute or until chocolate melts. 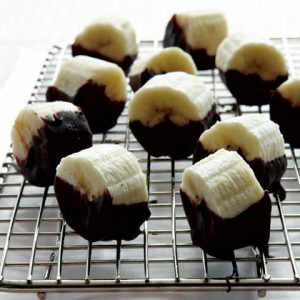 Dip banana pieces in chocolate.